Facing terminal illness or the progressive infirmity of advancing age with a pet is one of the most difficult things we must do as pet owners. 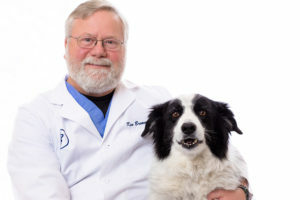 While it is disheartening not to be able to cure or halt such conditions, it is important to attend to the many things that can be done to optimize each pet’s quality of life. An evaluation of a pet’s current condition and discussion of the expected course of their disease allows for identification of areas in which they currently need support as well as anticipation of additional aid that they will need in the future. Major quality of life considerations generally include comfort, mobility, nutrition, and mental enrichment. Pain relief can be achieved through a combination of medications and non-pharmaceutical measures, such as massage, hydrotherapy, therapeutic laser treatments, and acupuncture. Mobility, which is often compromised in older and ill patients, can be improved significantly through the use of assistance devices such as support harnesses, carts, braces, and traction boots. Other physical infirmities, such as incontinence, can also be mitigated with both pharmaceutical intervention and supportive measures. Optimizing nutrition and food intake has a multitude of benefits, including increased strength and energy. Special therapeutic diets can be fed that are designed to address specific diseases and age-related problems. In many cases, these diets may help slow disease progression and ease symptoms. Herbs and supplements may also be of benefit in some situations. 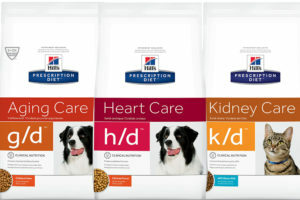 For pets that have a decreased appetite due to illness, several effective medications can be prescribed to reduce nausea and GI upset and enhance appetite. Attending to an ailing pet’s mental and emotional needs is just as important as meeting their physical needs. Stress and anxiety associated with illness or advanced age can be alleviated through the use of medications and supplements, as well as a variety of non-pharmaceutical calming measures such as pheromone diffusers, soothing music, and massage. Mental stimulation and social interactions can be encouraged though the use of puzzle toys, scent games, walks or car rides to favorite places, and doggie play dates. 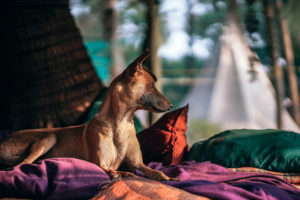 Frequently reassessing a pet’s quality of life permits the timely identification of further decline and allows for the implementation of additional support measures. Even with the most dedicated care, a point will ultimately be reached when reasonable quality of life can no longer be maintained. As this point approaches, it is important to give consideration to when and how you will say goodbye to your pet. Euthanasia is the process of giving an animal a peaceful death, free of pain and anxiety. This can be done either at the clinic or at home. It is usually carried out by first giving an injection of a sedative with a pain medication, which will cause the pet to relax and fall asleep. Once asleep, a second injection is given which painlessly stops the heart. Who will be present and for what parts of the process is a very personal decision and there is no right or wrong level of involvement—only you can decide what is most fitting for you and your pet. 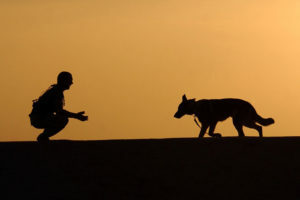 However you choose to say goodbye to your pet, multiple body care options exist to allow you to memorialize your pet in the way you feel most appropriate. Deciding to euthanize a pet is an agonizing process. Our pets are members of our family that have provided us love and loyalty for many years. 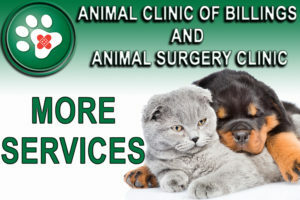 Our euthanasia services are conducted with compassion, respect, and gentle care. You will likely experience a wide range of complicated emotions as the time comes. It is important that you are prepared for this event and deal with the feelings as they come. There is great fear in not knowing what will occur on the day of the euthanization. Discuss this with your veterinarian and ask questions. Our veterinarians are very familiar with the experience and are able to talk with you about the process and feelings that go with it. Decide whether you would like to be there during the euthanasia. Some people wish to be with their pet and officially say goodbye during the final moments. Others feel that the experience would be too much to handle. Whether you choose to be with your pet or not, be re-assured that you have given them a lifetime of love. Either decision you make is appropriate. You are not alone. There are many others experiencing similar grief. Pet loss can be very challenging, and there are pet loss support groups available throughout the country. If you have specific questions or concerns about euthanasia or you would like more information regarding the diagnosis or treatment of your pet’s disease, please contact our veterinarians.